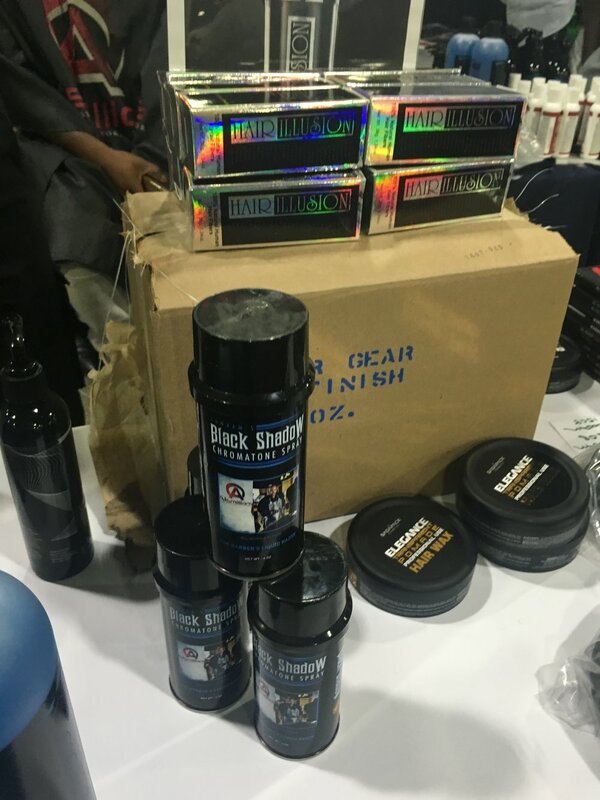 Men hair products and styles are taking over the hair industry and it was evident at the 69th annual Bronner Brothers Hair Show in Atlanta, GA. Celebrity Barber Lisa S says “Men hair product have sold more than women products for this first time this year.” She and partner Ray J advertised his new hair and technology company HairTRONiks. 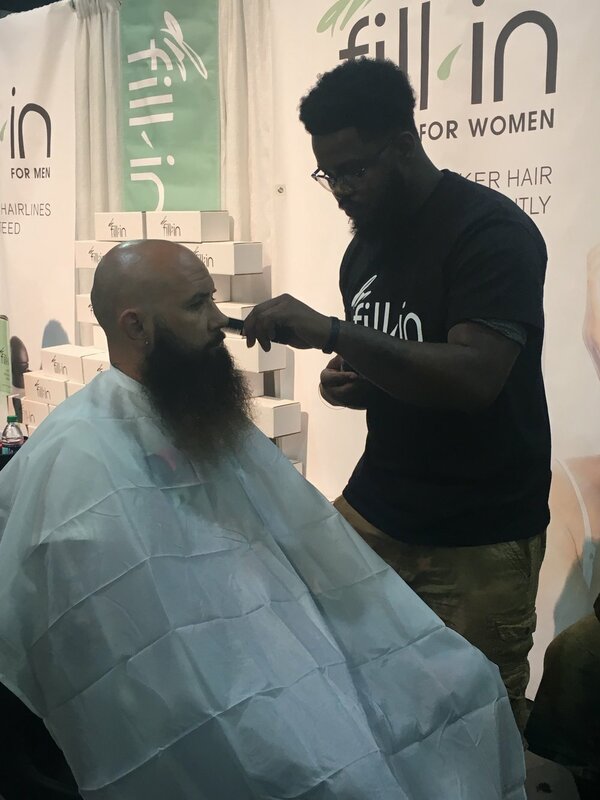 HairTRONiks specializes in marketing and producing hair products such as Brandi’s new synthetic hair line Brakari hair, Lifestyle men’s healing oil, Sprush hair kit by Lisa S, and Prella Hair by Princess Love. Half of the floor room featured barbers and mens hair products. What caught my attention most was the coloring the barbers were applying during their presentations. 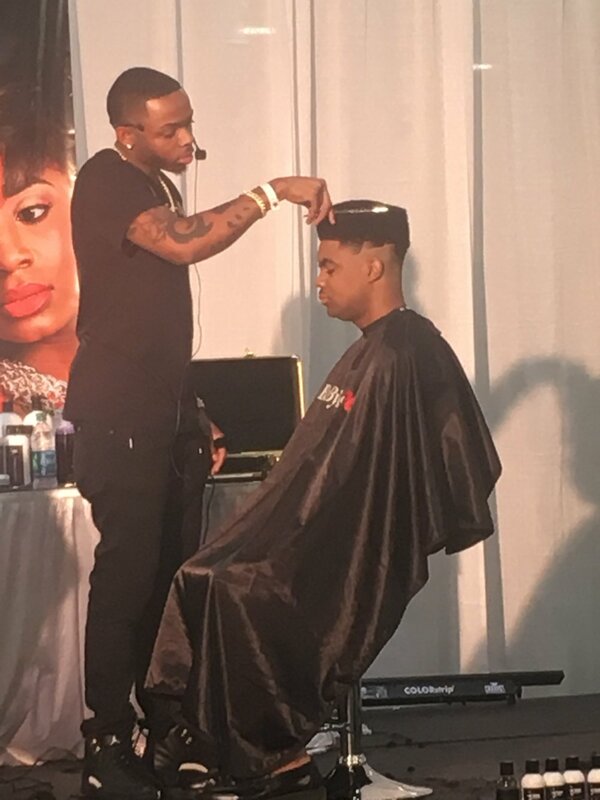 At the Anatomy of a Barber booth I spoke with professional Barber Fox out of Memphis Tennessee about hair coloring. Fox mention hair coloring is not a new thing, but is definitely improved and trending. “In the past we used a spray that would run down your face if you sweat too hard. Now we use sprays that are alcohol based to prevent running”, he stated. The newest product that is popular and in demand is hair fibers. Hair Fibers is human hair that is dusted on to strengthen the look of the hairline or any balding.